Do you want to make your own stationery? We understand that many of our customers want to be able to make their own wedding invitations and stationery, and why not? DIY stationery is the perfect way to save some money and also have some fun!! How do you put together a design? Where do you source all the different components? How do you set up the computer file to make the most of your paper and card, merge in guest names or print your envelopes? Can your printer achieve a high quality print on specialised paper? How do you correctly cut everything so that it goes together perfectly? How do you achieve a professional finish that will impress your guests? All Something Fabulous Stationery can be purchased as a DIY “print and cut” option. In fact this is the standard price that you see online for nearly all our products. We will help you with all of the above and offer you complete instructions on how to achieve the professional finish that will impress your guests and see you create stationery that you can be proud of. Fully proof and print your invitations. This includes your choice of fonts and wording as well as merging of guest names and printing of envelopes. (see our inclusions page). 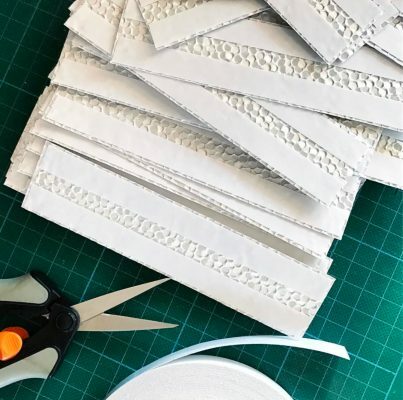 Cut all printed parts of your invitation, all decorative papers and card as well as supply all embellishments and components that make up the design you have chosen. Provide full step by step instructions on how to achieve a professional finish. For more information contact our customer service team or of course you can shop now!